The Fourth Legacy is really quite a huge leap from their previous album. There’re some significant changes here from Siege Perilous, such as composition, musicianship, production etc. 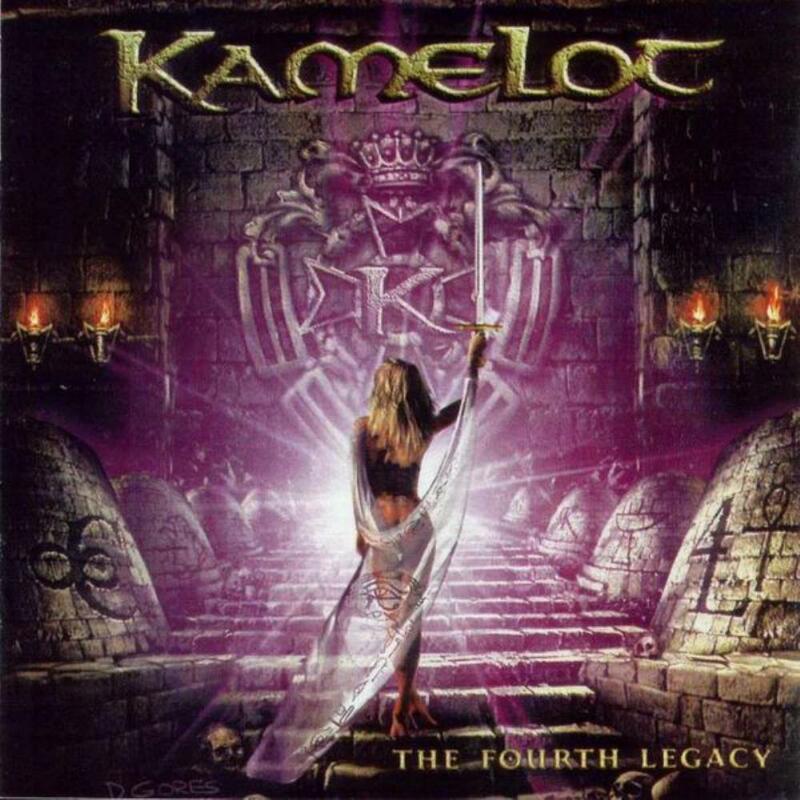 This fourth studio album by Kamelot probably has taken the band into the next level in progressive metal world. ‘New Allegiance’ opens the album with some short instrumental works, a style that the band will keep for their next albums. The album then starts picking up the pace with the ‘The Fourth Legacy’, incorporating some speedy riffs and drumming. This title track is likely a song that would lift up the mood to listen to the whole album. The next track, ‘Silent Goddess’ is an interesting track that features some quite cool drumming, some nice guitar solo and quite catchy melody. ‘Desert Reign’ slowed the pace of the album after the previous tracks. It’s also features as an opening to the next track, ‘Nights of Arabia’, which is a great track with some great range of vocals, especially at the refrain. It’s also has some nice softer part and great solos as well. This track is the highlight of the album! Coming up is ‘Shadow of Uther’, a track based on Uther Pendragon. The song has some shifting in the tempo, some nice guitar solos in the middle part and a bit of medieval folk tunes too. The pace then slows down again with ‘A Sailorman’s Hymn’, a beautiful soft track which has great melody and very nice vocals. ‘Alexandria’ kicks out with some heavy riffs in medium tempo. This track is quite catchy and has some nice orchestration parts in the background. ‘The Inquisitor’ is a track with medium tempo, with a few orchestration parts in the middle part followed by guitar solo. ‘Glory’ is another soft track with some nice guitar melody and orchestration parts. The good thing about Kamelot is that they don’t fill the whole album with heavy and speedy tracks; rather, they give some alternation between the heavy and the soft parts. We’re almost at the end now. ‘Until Kingdom Come’ returns the heavy side of the album. This is a powerful track with fast tempo. Nice combination between the instruments and vocals here. The last track ‘Lunar Sanctum’ close the album in a slower tempo. This song has some nice drumming and good vocals. Not a really heavy track, and fits well as a closer. Overall, this is a great album. The songs are all good, and the orchestration parts also help giving the eastern culture atmosphere. Though the tracks are mostly short, and some sound more like (power) metal than prog songs, but hey, this is a progressive metal band, so it’s still acceptable IMO. More importantly, with this album the band shows that they have already progressed a lot since their last so we can probably expect something better in the future.